AuLives provides no information about who owns or runs the company on its website. The AuLives website domain (“aulives.com”) was privately registered on May 29th, 2018. An address in Dubai is provided on the AuLives website. Multiple businesses operate out of the same address however, suggesting the address actually belongs to a virtual office provider. AuLives has an official corporate YouTube channel, on which there are several marketing videos. These videos reveal the co-founders of AuLives to be Parwiz Daud and Mansour Tawafi. Up until very recently, Daud and Tawafi were prominent promoters of the OneCoin Ponzi scheme. On December 4th, 2017, Ted Nuyten’s Business For Home celebrated Daud and Tawafi stealing approximately $400,000 a month from OneCoin victims. OneCoin’s ROI payments collapsed in early 2017 but the company continued to pay pyramid commissions on recruitment. With the company no longer honoring ROI withdrawal requests however, OneCoin affiliate recruitment also collapsed. With their OneCoin earnings likely plummeting, now it seems Daud and Tawafi want to run their own MLM cryptocurrency company. Update 28th August 2018 – Testament to their lack of MLM executive experience, in a YouTube video dated August 25th, Daud and Tawafi revealed Frank Ricketts as CEO of AuLives. 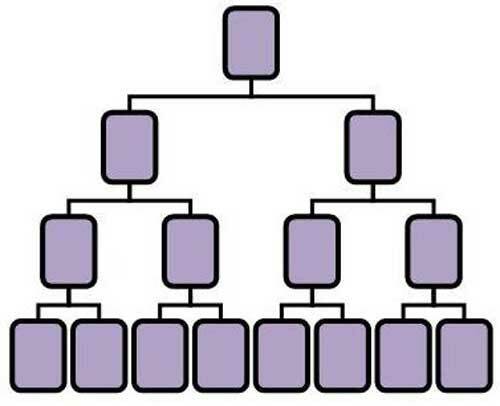 Rickett’s MLM claim to fame is Unaico and SiteTalk, a combination of investment and pyramid fraud. When those scams collapsed, Ricketts rebooted the business as as The Opportunity Network. Publicly Ricketts tended only to make appearances when OneCoin teetered on collapse. 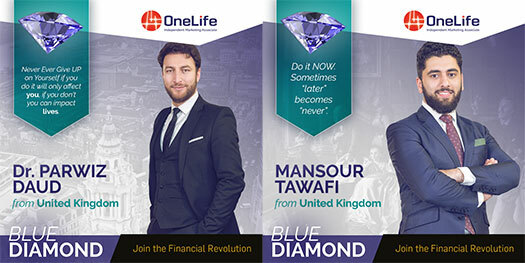 Daud and Tawafi reside in the UK, where they primarily promoted OneCoin to the local Muslim community. It stands to reason that as opposed to Dubai, the UK is where AuLives is actually being operated from. Why none of this is disclosed on the AuLives website is unclear. Read on for a full review of the AuLives MLM opportunity. AuLives has no retailable products or services, with affiliates only able to market AuLives affiliate membership itself. AuLives affiliates invest euro and receive “promotional tokens”. Once acquired, AuLives affiliates convert invested tokens into Secured Gold Coin (SGC). SGC is marketed as a viable cryptocurrency altcoin, but in reality are just pre-generated points that don’t exist outside of AuLives. AuLives affiliates are paid 10% of funds invested by personally recruited affiliates. AuLives pay residual commissions via a binary compensation structure. At the end of each week AuLives tallies up new investment volume on both sides of the binary team. Affiliates receive a flat 10% of new investment volume generated on the weaker side of their binary team. Paid volume is flushed from both sides of the binary team, with leftover volume on the stronger side carried over the following week. AuLives pay a Matching Bonus via a unilevel compensation structure. The Matching Bonus is paid out on residual commissions earned by unilevel team members. AuLives affiliate membership is €35 EUR plus a €100 to €50,000 EUR investment. Why settle for $400,000 a month in recruitment commissions when, like OneCoin’s Ruja Ignatova, you can dupe tens of millions out of gullible investors? Following in the footsteps of Nils Grossberg’s DagCoin, Parwiz Daud and Mansour Tawafi have launched their own OneCoin spinoff. Both companies bundle “education packages” with affiliate investment, however it is the promise of riches that lures investors in. Whereas DagCoin’s marketing hook is their worthless points not having to be mined, AuLives claim their worthless points are backed by gold. According to AuLives marketing material, AuLives take 60% of invested funds and purchases gold with it. Naturally the company provides no evidence of gold being purchased or stored. 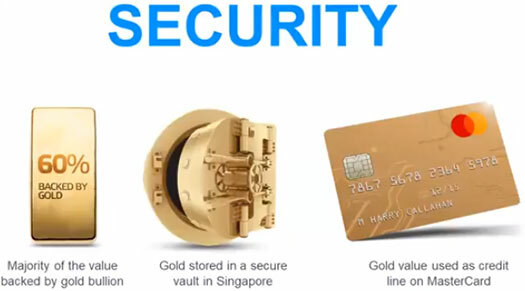 Furthermore, AuLives marketing material goes on to state the invested “gold value” can be used as a line of credit with MasterCard. First things first, MasterCard aren’t running gold-backed credit cards. Second of all if invested gold is able to spent by AuLives affiliates, what’s propping up the internal value of SGC? I mean presumably AuLives affiliates are going to be able to cash out their SGC points through an internal exchange, right? Gold can’t be simultaneously able to be spent by affiliates and backing up SGC at the same time. And if AuLives drop the “we’ve invested in gold charade” and just peg an internal value per SGC point invested in and offer it on a debit card, what is the point of SGC then? Affiliates won’t be able to do anything with it, other than look at made-up SGC balances in their back office. And so we come to the crux of AuLives’ business model. Like OneCoin and DagCoin, AuLives combines pyramid recruitment with recycled invested funds. Be it gold, imagined or otherwise, whatever AuLives affiliates manage to withdraw is sourced from subsequent investment. The whole thing falls apart once recruitment dies down, because no matter what the internal SGC value is, if there’s no new money to withdraw AuLives can’t pay anything out. This is precisely what happened with OneCoin, has yet to happen with DagCoin and will eventually happen with AuLives. As Nils Grossberg is finding out with DagCoin, reload scams are rarely as successful as their predecessors. DagCoin’s website Alexa ranking is tanking and with EU tapped out, showing no signs of a reversal anytime soon. This late into the game, AuLives is going to have an even steeper hill to climb. And even giving them a chance is generous. The only cryptocurrency experience Parwiz Daud and Mansour Tawafi have, is recruiting people into a Ponzi scheme and profiting handsomely from it. There’s a big jump between Ponzi promotion and actually running one. After AuLives has milked what’s left of OneCoin’s English Muslim community again, what then? I just tried to send you the presentation via the “Contact” page, but this seems to have failed (> 10MB). I saw this new article only after that. 2. Global Consultant Nawid Habib and CTO Aleksandar Martinovic work for ICO HeadStart (NOLINK://icoheadstart.com/), so contrary to OneCoin they MIGHT implement some real crypto tech. SGC is a Shari’ah certified asset-backed cryptocurrency [based on usability] which adherently complies with the Shari’ah law. Members of the AuLives network from an Islamic background can participate in this revolution of payments which is inherently regulated and verified by global authorities in Islamic Finance. 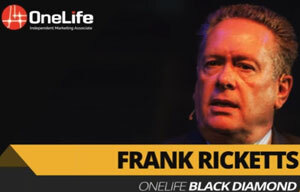 PRO scammer from Sitetalk/Onecoin former CEO and Captain – Frank Ricketts is the CEO of this scam… they’ve announced it yesterday on their global summit in Istanbul, Turkey. Pics to prove it are available on their FB support group. Don’t those who steal under Sharia law lose their hands as punishment? Can’t really see a Ponzi passing the test. They can’t even spell the law they are supposed to be compliant under! Dr Parwiz Daud and Mansour Tawafi are criminals that scam poor and ignorant people out of their hard earned savings. So whats stopping the uk police from arresting them with several severe charges? I do not understand how these immoral criminals can just continue out in the open like this? Also you said dubai does not prosecute nor have laws against mlm plnzis? LOL@Frank Ricketts. You really couldn’t find any other job than this, Frank? Thanks for the additional info OneCoin Squad, I’ve added Ricketts as AuLives CEO to the review. Sorry to say but MANSOUR TAWAFI DR PARWIZ DAUD. ARE BIG PONZI DIRT! SCUMBAGS! AULIVES IS SCAM AND STUPID DOWnLINE FrOM ONECOIN BELIEVE THEM AGAIN! ”SGC is a Shari’ah certified asset-backed cryptocurrency [based on usability] which adherently complies with the Shari’ah law. I guess the Sharia certificate is still missing, so they had hide it. These are the same guys ( Parwiz Daud and others ) from other mlm scams. He stole £50 000 from an elderly Muslim woman from Birmingham. The money was for her grandchildren’s education. This was when they were in onecoin. Watch out!! Big scammers. I hope police will catch them and put them in jail. These people will get what’s coming to them. They spoke so much about one coins value as if it’s facf. They lauded their accounts to people to show all the money they made. They knew what they were doing. Absolute joke. It is from the Sunnah to pay using cash and to pay with your right hand. Muslims, don’t get sucked into crypto currency. I was in this Dr Daud’s house. And looking back his Dr title gave him credibility. Which is why so many get sucked in. That and greed. But this man has been a part of ACN and then one coin and now this. Stay away! AULIVES is big scam. Dr Parwiz Daud is a crook. Everything he says is lie. Do not invest!! I read most of the comments written and it seems most of them are written by the same person. Do you people really think if Daud are Tawafi had stolen money from people, would they be walking so freely and then coming with their own cryptocurrency. Leaving such stupid comments will not make any difference. Evidently yes. Although that’s more of an indictment on UK authorities than the legitimacy of stealing money through Ponzi schemes. Not to those who religiously follow Daud and Tawafi from scam to scam, such as yourself. You already know OneCoin is a Ponzi scheme and that AuLives is no different. When you denounce god and take money and desires as one you don’t look around how many people you hurt and how much money you stollen from them. These people used religion as thier tool to lore me and many more like me into scams one after another. Dr parwaiz and his little lap dog mansoor will always remain as one of the top scammers of the 2017 and 2018. They live in their own little bubble and think they are amazing but whoever they have touched they destroyed those lives. Thieves. These guys will be in prison soon! Dr Parwiz Daud has been scamming people for years now. UKPRINZ: Do you people really think if Daud are Tawafi had stolen money from people,would they be walking so freely and then coming with their own cryptocurrency. Well, Daud did lie for years as he claimed to work as a doctor at Leicester General Hospital. In reality there was no one named Daud in the whole staff of the hospital. In fact, he doesn’t even have a license to practise medicine in the U.K. But I guess the hospital in Leicester is a paid hater and the register of medical practitioners is just a scheme of the government to make Daud look bad, so never mind these stupid comments. This AULIVES is a scam, beware. Dr Parwiz Daud and Mansour Tawafi are bad people who will take from the poor. Good efforts to save mlm and end user’s. Peopl also forgetting to mention the other two scammers very much known in holland. Mr Nawid Habib and mr ALEXANDER who both started icoheadstart in 2017 and run away with over $11.7M of peopled money by end of 2018 staring this company aulives. They have been named and shamed in many magazines and news outlets triggering here in Holland resulting in Interpol investigations. These low life scammers will be brought to justice oneday. I am not sure who the other two partners of aulives are but these two have been involved in many more scales previously so stay away. Good to preserve these for future shaming purposes. As Nils Grossberg is finding out with OneCoin, reload scams are rarely as successful as their predecessors. I’m sure you meant to say DagCoin? Otherwise, great text. It’s amazing part of scammer psychology that once the scam you participated dries out, you start your own copy of it. Ah yes I did, thanks for catching that. Same scam crew from Onecoin. Crypto + MLM = SCAM. Dr Parwiz Daud & Mansour Tawafi will feel the rath of Allah. Is Frank Ricketts still CEO of AuLives? Or are Frank Ricketts and Staffan Liback planning a new scam together? Or two? Both crooks have never earned money with honest work. Should that change now with CLOUD HORIZON? Message from Mr. Frank Ricketts to all leaders around the world! The countdown has begun. Stay tuned for revolutionary information within the next few days. The paradigm is about to change our beautiful industry and YOU are invited to join us! We’ve known the scammer on the right side for a long time. But who is the guy on the left?